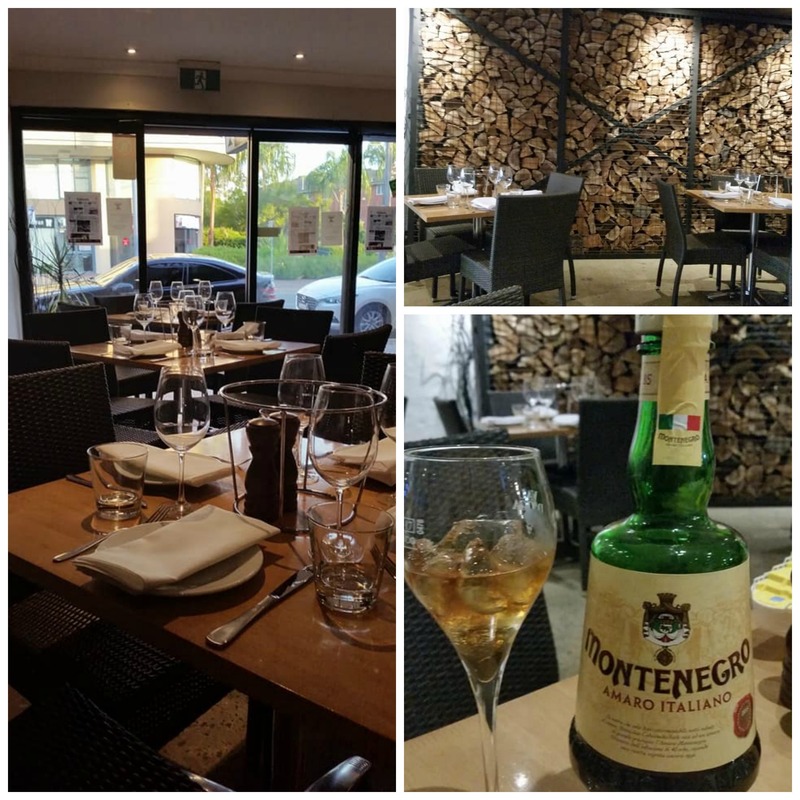 Etna Trattoria Pizzeria, located at 10 West Parade in West Ryde, has recently re-opened under new management and, while I liked it before, I absolutely love it now. Family run, the food is really good (you cannot beat Italian food cooked by a real Italian mother), the atmosphere buzzy and they are now licensed for liquor. Owner Giuseppe greets you enthusiastically while warning you (half joking/half serious) that, at Etna, the food is excellent (Mamma is in the kitchen), but the service is not. I have been twice and never suffered from bad service, only enjoyed excellent food. 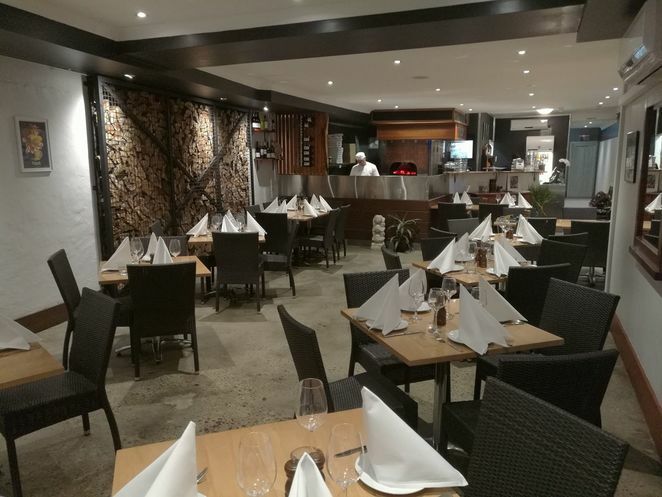 Considering they provide you with something to nibble on while you mull over the menu, you won't die of starvation if the service is ever a tad slow. Having recently celebrated their One Year Anniversary of trading, Etna has gone from strength to strength, with late night dancing featuring on weekends, whole families up and having fun Italian Style, including Italian singer Patrizio Buanne who also recently enjoyed dinner and dancing at Etna with his family, you can view the video on their Facebook page. 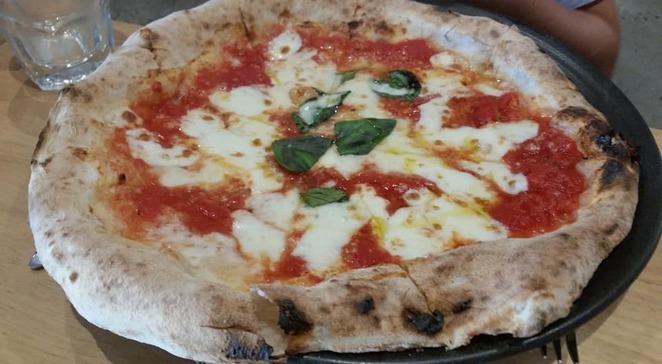 The wood-fired pizza kitchen area is open plan, the decor is fresh and uncluttered with polished concrete floors, and Giuseppe is all over the place talking to and greeting his diners while Italian music plays, but there is nothing kitschy about this place. Inviting decor and they are now licensed to serve alcohol. 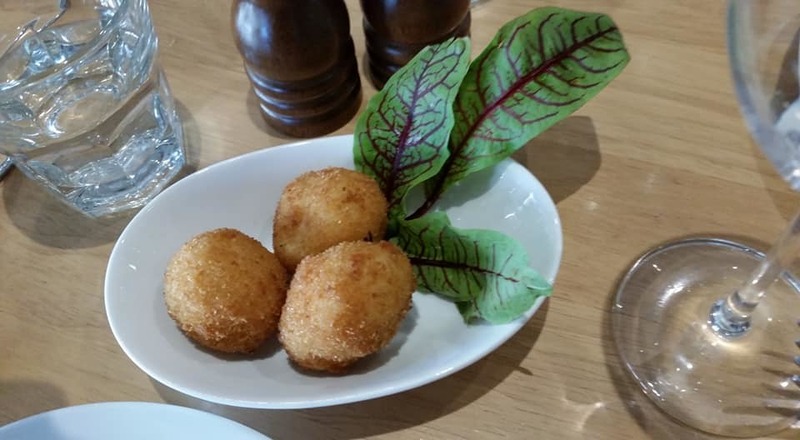 The complimentary Arancini (rice balls with mozzarella cheese) are a nice touch and a perfect appetiser. The pizza is so very good, extremely well priced (under$20), and the desserts so far have also been delicious. I am really looking forward to returning to try more of "Mamma's" cooking. 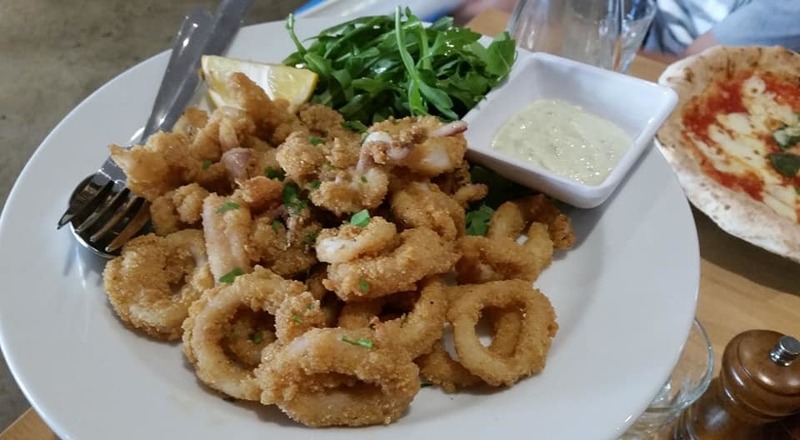 I would have to say it is currently my favourite local restaurant, dishing out the best pizza in the area (in my opinion), and probably the best calamari I've had in a long time. 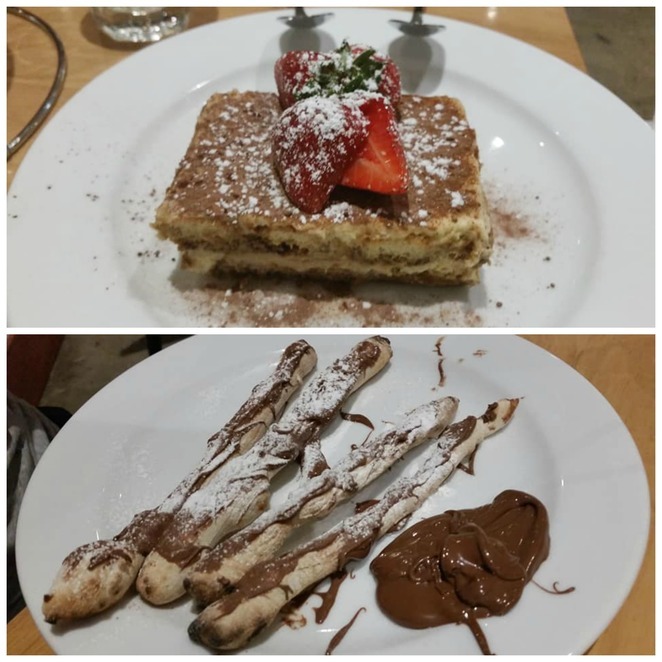 Melt-in-your-mouth good. The best Calamari I have eaten in a while. 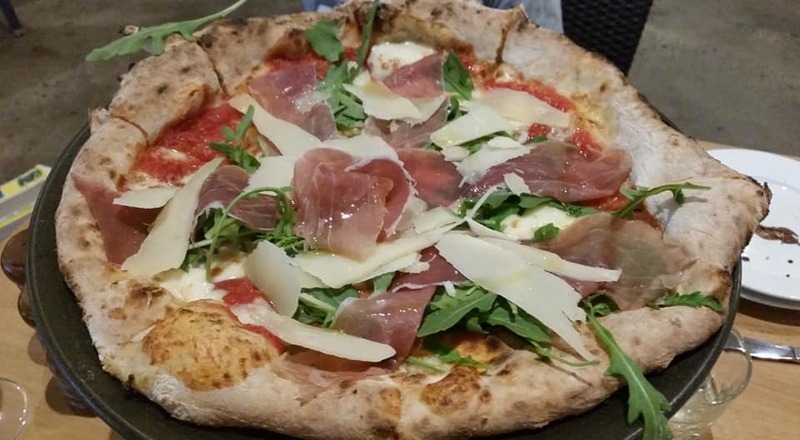 We recently returned and tried the Galileo ($24.90), shaped like a cornucopia it is a combo of pizza and calzone (closed pizza). Great for vegetarians and still just as good if you are not, it is topped with cherry tomatoes, rocket and ricotta salata (salted ricotta) on the open side while the closed side is full of yummy vegetables including eggplant and mushroom. 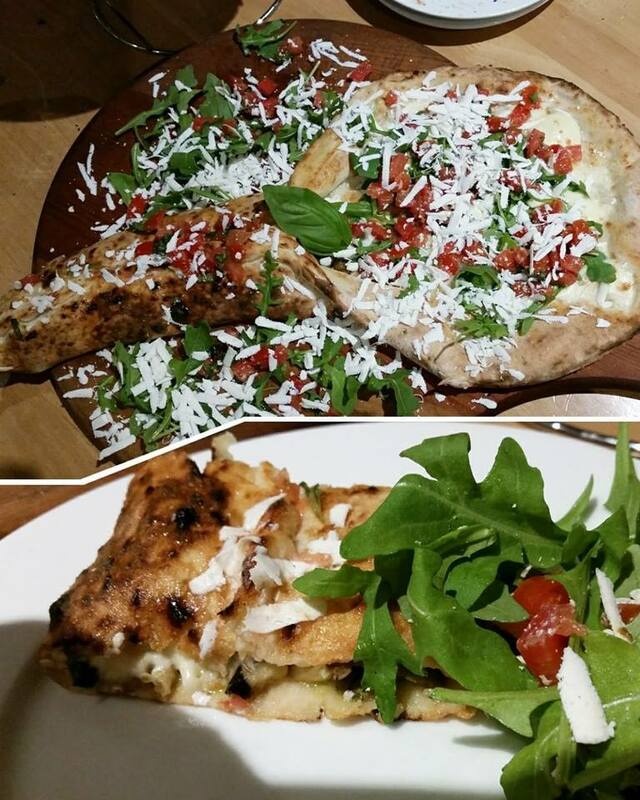 It is very tasty and more than enough for two to share.